There was once a woman named Ellen who led a life of scandalous sin. One day, in a tired, depressed moment, when the glamour seemed to have gone out of life, Ellen entered a church. By chance, the sermon being preached was about the beauty and power of the Rosary. Ellen was impressed. On leaving the church, she bought a set of beads, but concealed them so no one in her circle would know. As she prayed her beads, something wonderful began to happen. She felt such sweetness, and consolation that she could not stop reciting the Hail Marys. By and by her wicked life loomed before her in all its horror, and, one day, she could not help but look for a priest to hear her full confession. 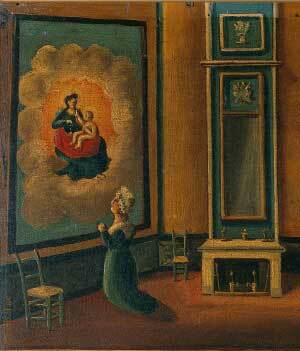 She confessed her sins with so much feeling and contrition that the confessor was amazed. True to her word, Ellen distributed all her goods among the poor, and began a rigorous life of mortification. 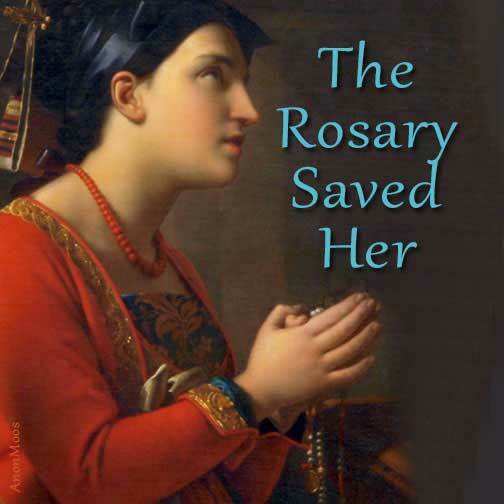 Habit dies hard, so she was tormented with terrible temptations, but she always had recourse to the Blessed Mother and her Rosary, and with her help, was always victorious. As time went on, Ellen was favored with many graces, with visions and revelations and even the gift of prophecy. Finally sickening and near death, she received visits of the Blessed Virgin and her divine Son who came to cheer and console her. And as Ellen breathed her last, her soul was seen flying toward heaven in the form of a beautiful dove. The Rosary was her ladder to heaven. He came to call not the just, but sinners. Born in the Roman Galatian town of Sykeon in Asia Minor, Theodore was the son of a woman of ill repute, who kept an inn along the imperial highway. As a child, he was so given to prayer that he would often give up a meal to spend time in church. From an early age he shut himself up first in the cellar of his mother’s house and then in a cave beneath a disused chapel. Later, for a time, seeking to further escape the world, he sought solitude on a mountain. On a pilgrimage to Jerusalem Theodore assumed a monk’s habit, and though only eighteen years of age, was ordained a priest by his own bishop. His life was most austere, wearing an iron girdle about his body and only sparingly partaking of vegetables. Endowed with the gift of prophecy and miracles, on a second pilgrimage to the Holy Land, he obtained abundant rain after a severe drought. Theodore founded several monasteries, and ruled as abbot in Sykeon. He was consecrated Bishop of Anastasiopolis, though he deemed himself totally unfitted. After ten years he succeeded in relinquishing his post and retired to Sykeon. From Sykeon he was recalled to Constantinople to bless the emperor and the senate and there healed one of the Emperor’s sons of a skin disease, reputedly leprosy. Theodore had a great devotion to St. George and did much to propagate devotion to him. He died in Sykeon on April 22, 613.